GLAMAZON x FASHION WEEK — GLAMSPIRATION. When you think Australian swimwear label, there is no other that is more iconic than JETS. Inspired by confident and sophisticated real women for over two decades, JETS is the premium Australian swimwear brand renowned for its perfected fit, fabrication and garment structure. Just like Glamazon, JETS is dedicated to making all women feel confident and look fabulous. We were lucky enough to be approached by JETS to be their makeup and spray tan partner for Mercedes Benz Fashion Week Australia. 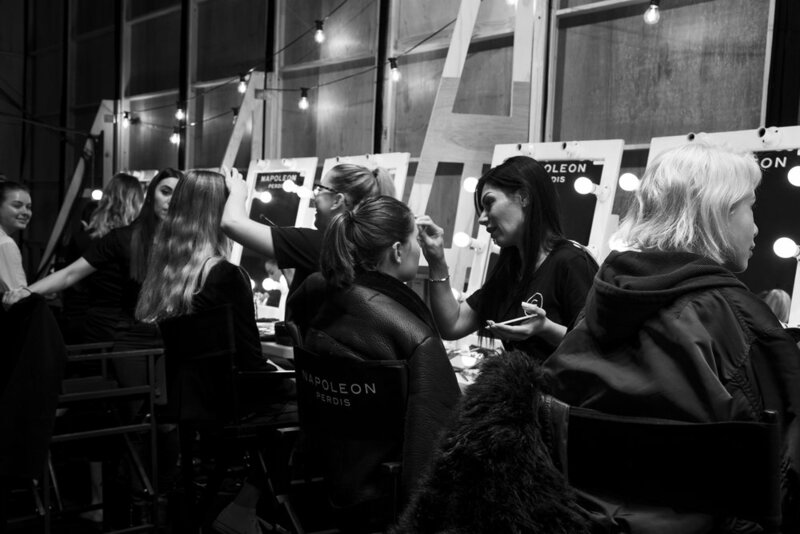 With 12 models such as the amazing Jessica Gomes strutting down the runway, we provided 12 of our amazing Glam Luxe makeup artists to do the makeup. The brief was a 'Deep Bronze Glam' - sun-kissed, glowy and dewy, our makeup artists made the models shine brighter than Rihanna's proverbial diamond. The nautical themed show took place at Carriageworks on Tuesday 15th May, at 10am, revealing a chic collection that was reminiscent of the French Riviera! I think you'll agree by these pictures that our Glamazon stylists nailed it!